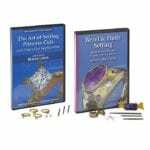 Learn to place gemstones securely and beautifully on jewelry pieces. 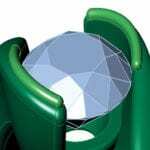 Our stone setting articles cover techniques and tools for setting popular gems. 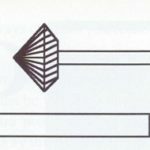 Supposing a designing hole is slightly off-center, how would you ‘move’ it? 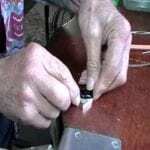 The answer will now be shown without soldering to plug it up?..It’s so very easy! In this final video, you will see the stones being finally set. 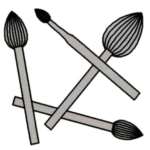 I will be using a Hart-shaped bur..a.k.a. 156C to under-cut each mini-post/claw. 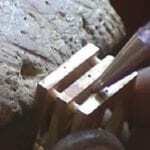 This is to make sure each stone is set level & equally at the same depth…. In this first of 6 video’s, I explore the varied, but basic tools I will be using. 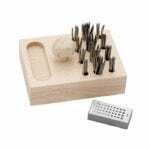 From the basic round & bud shaped burs I stress that all tools must be kept in pristine condition while being used. Featured are the materials for turquoise, platinum and 22-karat gold granulation earrings. 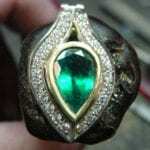 The turquoise is 10.25 millimeters round and will be bezel set. 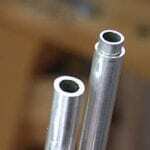 The platinum is Pt-900-Ir, a platinum and iridium alloy. 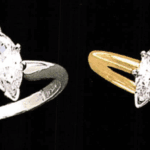 Once the platinum fabrication has been completed and the center stones set, the last step is performing the 22-karat yellow gold granulation using modern fusion-welding techniques. Here is the process on how to cut Azure patterns. 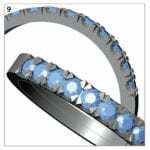 These appear underneath the diamond setting portion of a ring, bracelet or pendant. Great care is needed in this process of cutting. 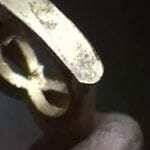 Showing the pendant of the 3 BARS series…It will come the bracelet, soon.. Hand made . 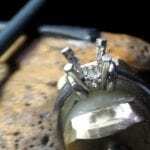 How it’s made: a modern hollow ring , using 14k yellow gold and 50 diamonds set in white gold. Hand made. 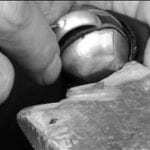 How it’s made: a modern style hollow gold ring with 50 stones set white gold insertion. Hand made. 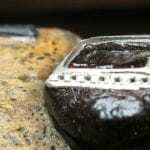 Setting gemstones in 950 palladium alloys is a bench jeweler’#39;s dream. 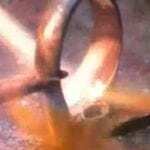 Stone setters will agree that the combination of palladium’#39;s malleability, superior strength and the near absence of memory (spring-back) when it is bent or formed all set the foundation for success, regardless of the setting style. 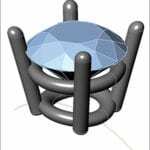 But without proper design (structural support, sufficient metal, accurate fit, etc. 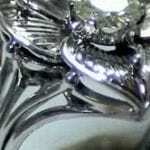 ), planning and execution of workmanship, the unique and positive characteristics of palladium cannot be used to the best advantage. 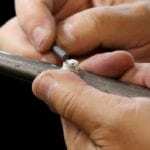 More importantly, ignoring the working characteristics of the metal could lead to problems for the jewelry through normal wear, such as mountings becoming misshapen resulting in loss of gemstones. 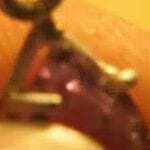 The following review of gemstone setting specifically in palladium alloys presents some jewelry examples for consideration. 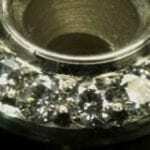 According to Frank McAllister, the quantity of individual pieces of jewelry made from 950 palladium has surpassed the same for platinum products in the recent months. McAllister, CEO of the Stillwater Mining Co. calculated this based upon the number of ounces used globally for each alloy. It wont be long before light, bright and white 950 palladium products find their way into your store, either as merchandise from your customers jewelry taken in for service or alteration or work required to customize 950 palladium jewelry from your own inventory. 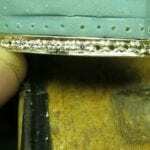 When heated to high heat soldering temperatures, some 950 palladium alloys will develop a bluish-purple surface discoloration. 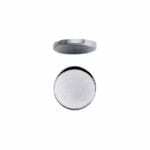 It is easily removed by briefly and mildly heating the piece with a neutral flame. 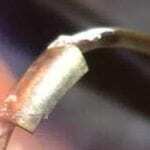 When palladium is heated to gold soldering temperatures, no surface discoloration occurs. A beautiful Crucifix , made by punching gold sheet on a lead block. 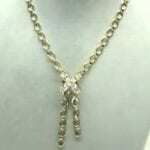 Incredible look of a casting item .Old oak wood cross support with diamonds and Emeralds. hand made , one of a kind. 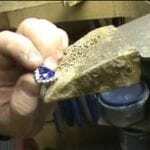 Finishing and setting Agate and Diamond Pendant in 14k. 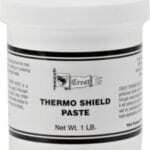 Dissolves cured epoxy and polyester resins. 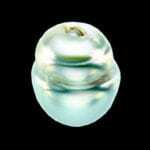 Cleans cured resins from metal stone glass wood undrilled pearls quartz coral and many other materials. 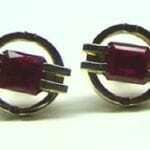 Do not use with plastic amber or amelite. 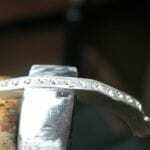 Short preview of my DVD Ballerina Ring, which depict the process of fabrication Ballerina style ring. Using Matrix software to make a 4 prong setting and alter on the fly! the melee. 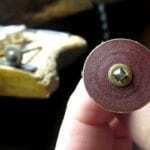 I knew this meant that my beading tool was becoming dull. 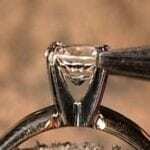 We show you how to bend the prongs over a one carat stone to make it look like it is set. 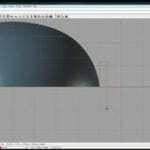 In this second video, you will notice which file I will use & where it will come in contact with the top of the bezel. 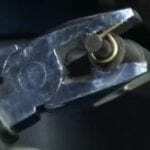 This bezel angle is where the hammer will hit top of the frame. Bezel #4. Cleaning your Hammer! Broad selection of Bezel Cup Settings. 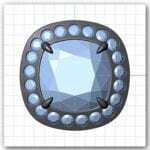 We have imported a cabochon 10×8 stone to make a bezel around it using Rhinoceros software. 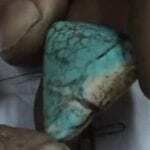 How is made: a big Turquoise pendant using only 4.9 grams of 14k gold and hollow technique. Good project for a smart apprentice .Hand made. 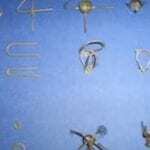 Static jewelry , showing an idilic picture of a life we all wish to have ….This is dedicated to my very best friend Keith Jerome Biodrowski . It is here I am just going over some extra little notes on Bright-cutting. I might have missed a few. But as this process is so important & extra video or two, will help you a great deal. 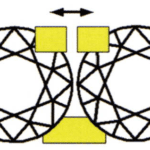 Rings with by-pass shanks are right hand and left hand specific and are not interchangeable. 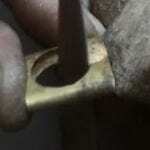 When creating a ring with a by-pass shank, the side of the shank closest to the hand should come from the side of little finger. The ring will then sit straight on the finger. 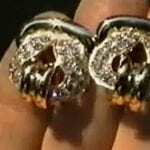 This is because the skin joining the fingers together is lower between the little finger and the ring finger than between the ring finger and the middle finger. 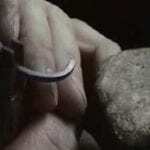 If the ring is created with the shank going the other way, the shank will contact the hand on the middle finger side first and cause the ring to twist while wearing it. 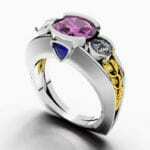 How is made a simple stone setting ring using 14k white gold and a synthetic ruby .Hand made forged. 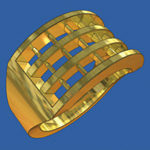 If you’re designing jewelry using CAD, understanding how the piece will be cast and then set and finished at the bench can mean the difference between failure and success. 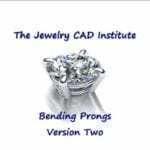 When modeling prong settings, there are a few tricks you can use to ensure the best results for your pieces. 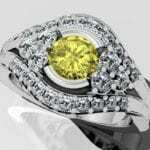 I learned the following rules during an Advanced Stone Setting Class taught by Blaine Lewis at the New Approach School for Jewelers in Franklin, Tennessee — and I’ve been applying them to my CAD models ever since. 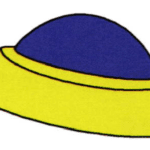 Computer aided design (CAD) was used to develop three designs in multiple views to show the customer. 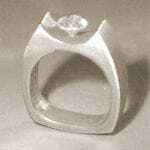 After the design was selected, the wax was milled and the ring was cast, pre-finished, set and polished. 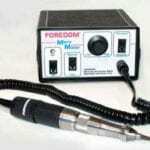 Foredom tools, equipment and accessories were used to make the process more efficient. 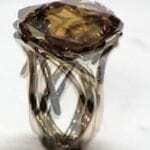 How is made a beautiful ring with an octagon Citrine , using the hollow technique. Hand made. As we prepare for the upcoming Christmas season, we will be totally inundated with requests to do some repairs or original fabrications. 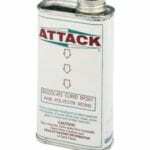 We will be asked to do some very quick “putting together” as the customer is waiting, many duties you can administer. 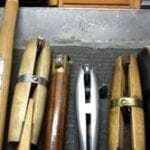 If its ring polishing, sizing, re-tipping or just supplying new shanks, these are all up your alley. 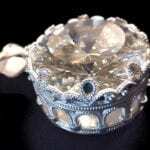 Short preview of my new DVD showing how to construct Coronet Cluster. 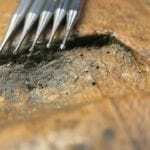 If you overlook any errors in your cleaning process, redo as best as you can. 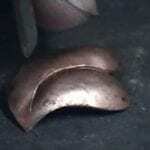 Once you go to the polishing stages, all of your rings buffs will only enhance those errors..so double-check your cleaning..now! 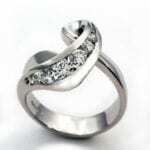 This ring design provides an excellent example for gemstone setting and working characteristics of 950 palladium. 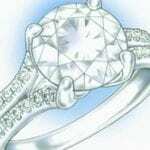 The superior white color of the alloy, its malleability and overall strength provide a sound and secure setting for the treasured gemstone and the diamonds that will last for generations. 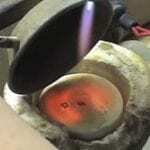 This article features manufacturing steps for a custom designed 14-karat yellow gold and diamond coin pendant. 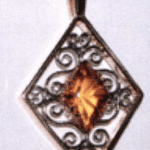 The coin pendant featured in this article was designed and rendered by Lainie Mann using Matrix. 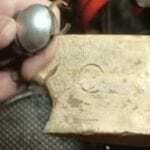 It will be cast in two pieces because the bail will be movable. 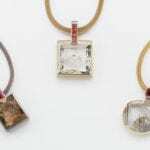 Consumers today are more open to wearing unusual gems, and there is a trend among designers to incorporate less familiar stones into their work. No longer wedded to the classic trio of ruby, sapphire, and emerald, jewelry makers today are drawn to lapis, moonstone, opal, and turquoise, to name a few. 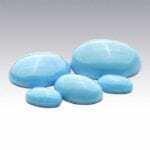 But while these gemstones offer the uniqueness consumers are asking for, they can also pose stressful challenges to the jewelers who work with them. 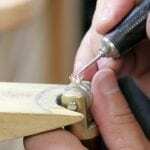 How it’s made a simple , nice looking hollow gold ring, with a marquise cut diamond, set in white gold. Hand made. 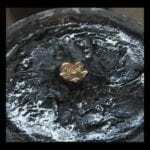 What is one of the causes of a “rippling or jagged” effect around an inside cutting edge in a Gypsy or Flush setting? How can this be avoided? 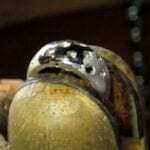 When an edge of a cutting tool (of any shape) glances over or hits a facet it will ride above that face. In turn, it will. 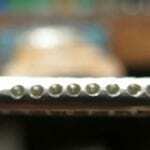 When setting a series of diamonds in a row, I use a 156C and just touch the inside wall of the hole. 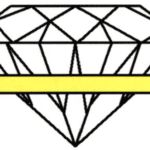 This way each and every diamond will sit at the same level and be correctly placed. Azure is the American English derivative of the French term a jour or adjoure. 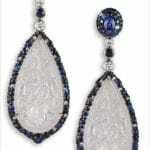 An azure is a countersunk cutout on the back of jewelry, behind bead, channel, or flush set diamonds. 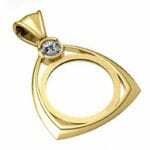 Usually azures are a square or triangle shaped, resulting in what looks like bright cutting on the backside of the jewelry. 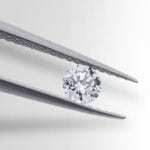 It is an important aspect of diamond setting that is often neglected today. 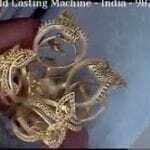 How it’s made an oriental style gold Dragon pendant having 450 stones set… Hand made. 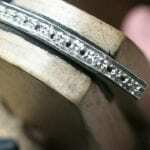 Using a builder tool we will make an eternity band. 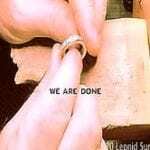 Then, we will alter it so the stones don’t go all the way around. 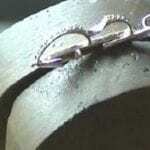 How it’s made a couple of funny gold cuff links showing the Euro (money) symbol. Hollow technique, hand made. 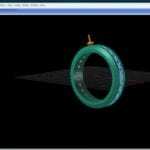 In this first video, you will see some of the poor quality of cleaning wheels. Only the best, or new wheels are permitted in this aspect of cleaning. 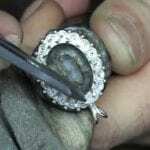 Often jewelers are called upon to hand fabricate a crown to fit a stone. 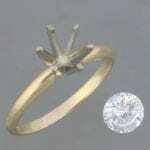 This is necessary when either the stone is a non-standard shape, or the crown needs to fit a particular design. 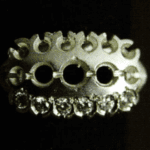 Although one will seldom hand fabricate a simple round basket crown, constructing one gives the jeweler the basic knowledge and understanding of crown construction needed when creating a more advanced crown. 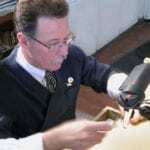 Master diamond setter Gerry Lewy shows dying art of making a fish tail setting. 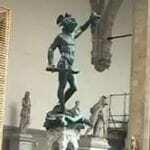 Made completely by hand, this is an example of supreme metal sculpturing. Filmed in full HD 1080p. 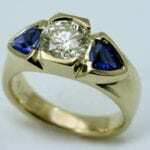 Before sizing any ring, examine it carefully and compare it to the information on the job envelope. If you see any damage or potential problems that are not marked clearly on the envelope, inform the store manager or sales clerk who took in the job so that they can notify the customer. It is extremely important that you inform them now, before any work is performed, rather than wait until later to inform them. Seated at his bench, David Howard, owner of My Jeweler, Inc. in Albuquerque , NM contemplates and prepares his work for the day. Technicians at My Jeweler perform repairs while customers wait in addition to the constant flow of design and custom order work. Their glassed-in workshop located at the entrance of the store allows customers to observe the bench jewelers at work from both the retail floor and the walkway outside. 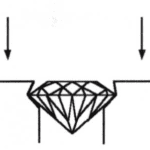 The day I was there, Howard demonstrated a flush setting technique for small round brilliant diamonds in a platinum band. 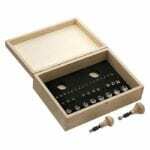 The Foredom AllSet Master Stone-Setting Kit includes prong, pave, channel-cutting guides and a fixture that attaches it to a Foredom No. 30 handpiece. 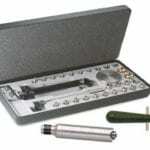 The kit is capable of quickly being set-up in a multitude of ways to complete a variety of stone setting tasks. 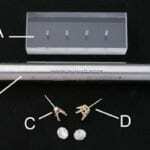 This article covers setting-up Foredoms AllSet Master Stone Setting Kit to cut consistent bearings for an in-line bracelet. 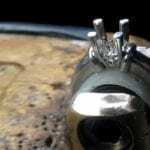 This article features Bill Holman who bezel sets a 2.55 ct. trillion diamond, 0.03 ct. round brilliant diamonds and engraves a platinum ring and matching pendant using Foredom’s Stone Setting and Engraving Micro Motor Kit.. 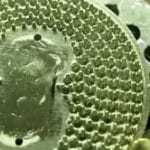 When manufacturing and repairing jewelry products, rotary equipment is essential to the process. Nothing is more frustrating or potentially damaging to the task than equipment that offers less than smooth, reliable and strong performance. The Foredom TX flexible shaft is capable of delivering this and more, resulting in greater efficiency, consistency and valuable time savings with the job at hand. 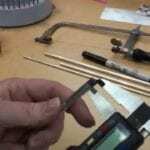 Gerry Lewy draws on his over 40 years of diamond setting experience to show you how to set a diamond in a 4 prong and 6 prong setting. Filmed in full HD 1080p. 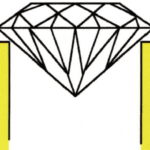 Gerry Lewy draws on his over 40 years of diamond setting experience to show you how to set a diamond in a bezel setting and a channel setting. Filmed in full HD 1080p. 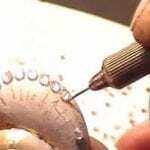 Gerry Lewy draws on his over 40 years of diamond setting experience to show you the technique of bead setting stones including creating the beads from scratch. Filmed in full HD 1080p. 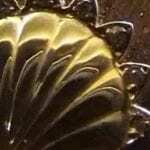 The pleasure and challenge of including gems in a jewelry object (beyond the intrinsic beauty of the gem, of course) is to resolve the various factors that come into play. 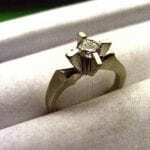 A well designed setting must achieve several goals simultaneously  it must secure the stone, enhance both the gem and the metal object, it must stand up to wear while protecting the stone, and it should harmonize with the aesthetics of the piece. 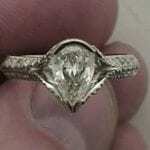 One of the first decisions about incorporating a stone is to determine whether it is to be the focal point of a design or a component in service to some other more dominant aspect. Clear thinking on this fundamental question will assist in the many decisions that must follow, including proportion, style, texture, color, location and size.. 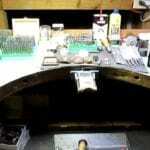 This video is the “Grand Tour of My Setting Bench”. 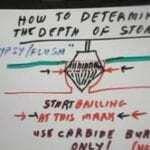 I explain all of my carbide burs as they are located in separate pallets, or bur-holding pads. 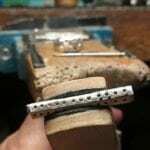 You will also see where I keep the smaller gem-stones on my bench…. 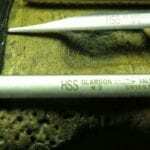 Use for engraving stone setting and other precision work. 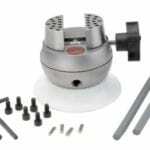 The Microblock’s stainless steel low-profile body stainless steel jaws and compact design are especially suited for microscope work or other situations where the size of a larger vise is an obstacle. 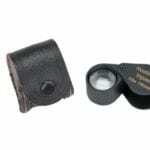 These are high-quality Hastings Triplet Loupes. 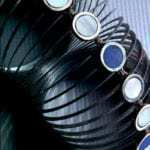 Hastings lenses are constructed from three lens elements cemented together to form a single lens. The unmatched clarity of these triplet loupes is further enhanced by black outer lens edges which eliminate color distortion…. 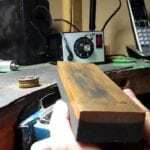 In this video, you can see a graver that is ready to be ‘burned’ in to a wooden handle. 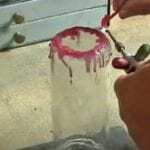 This has to be done by using a torch using a high temperature flame. 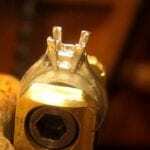 Many stone setters would agree that one of the most challenging aspects of prong setting is getting the prongs down tight on the stone. It’s easy to take this process for granted. If it’s done well, you might never notice. 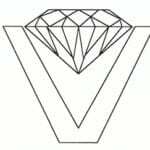 But doing it poorly can result in damaged or lost gemstones, or prongs that snag clothing and feel rough or sharp to the wearer. 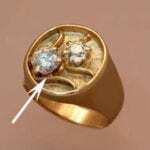 How it’s made: a nice hollow ring using 18k yellow gold and diamonds. Hand made. 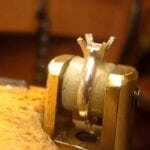 How is made: a nice hollow ring using 18k yellow gold and diamonds. Hand made . 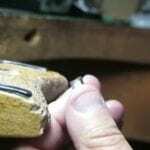 How it’s made a nice hollow ring using 18k yellow gold and diamonds. Hand made. 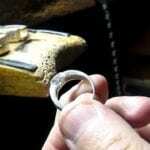 This ring is in for repair and reconstruction. 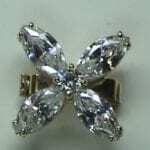 When it was originally made, 6-prong settings were used to mount the customers diamonds. 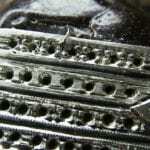 All prong tops are severely worn and one prong has broken. 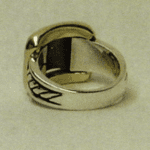 The customer has requested bezel settings, so the prong settings were removed from the ring. 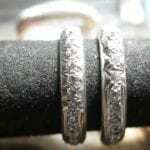 The ring was re-sized according to the customers request and then pre-finished. 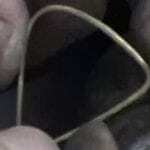 For tacking the tapered 14-karat yellow gold bezels, the brass tweezers lead was modified to firmly hold a bezel. 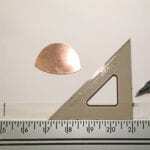 A ball bur was used to remove metal from inside each end of the tweezers. 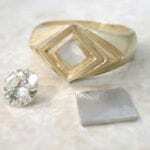 The majority of the invisible set styles that are available are the type where the diamonds are pressed in. 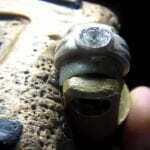 To do repairs of any kind I believe you should understand how these stones are set and how to set them. Although a Philadelphia native, designer Jenny Reeves loves her adopted city of San Francisco. When a local jewelry organization held a San Francisco-themed design challenge, Reeves joined in, eager to create a piece that would pay tribute to her city…. 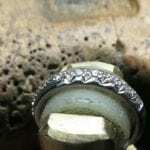 Setting the Stones – Setting round gemstones in four prong crowns, in this 3 stone ring made with finding from Southeastern Findings. 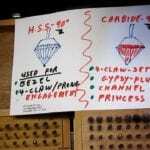 (sefindings.com) Basic Diamond Setting procedures demonstrated. 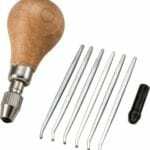 This comprehensive, well-built master stone-setting system includes 36 hardened steel punches (sizes 1.5mm to 20mm) and two smooth, comfortably shaped hardwood handles (one pear and one mushroom) with easy-to-use chuck collets. 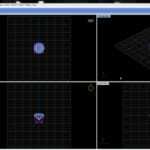 Creating a 4 prong gallery head using Matrix@ software. 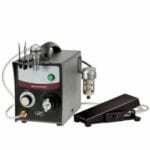 Easy import of stone and head builder technology to complete setting in a flash! 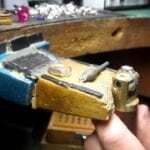 Meticulous planning and tedious layout are a big part of a goldsmiths life at the bench. 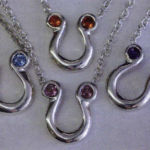 It usually pays dividends to thoughtfully plan gemstone layout for graver setting. If youre off by just 0.1 mm in one direction or another, you can sometimes visually ruin the aesthetics of an expensive project that is near completion, and in so doing ruin your day. But once in a while the time to plan just doesnt exist. 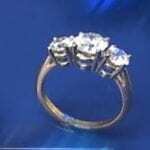 Bridezilla decides at the very last minute that she wants those accent stones after all–the ones that you planned for in your design but agreed to add later on the first anniversary. Or maybe you just forgot that project lurking at the corner of your bench. The client just left in a huff and if she cant pick it up after lunch, well…you can just forget it. 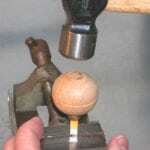 A bench jeweler typically uses a split mandrel to sand and finish the inside of a ring. 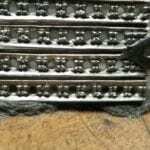 Various grits of abrasive papers can be cut to size and inserted into the slit of the mandrel, where they are held by friction during the rotary filing process. 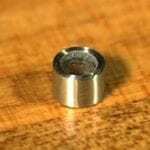 With minor modification, you can use the split mandrel as a holding device to finish round bezels and other small jewelry components quickly and consistently.. 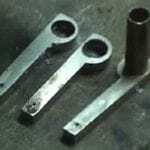 This jewelry bench tip is a follow-up to “Modified Split Mandrel for Finishing Round Bezels,” which showed you how to modify a standard split mandrel to make an effective holding device to finish several fabricated bezels of the same dimensions. The same split mandrel can also be adapted into an efficient tool for setting multiple round faceted stones into those bezels. 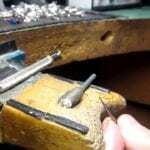 Many stone setters would agree that one of the most challenging aspects of prong setting is getting the prongs down tight on the stone. It’s easy to take this process for granted. If it’s done well, you might never notice…. 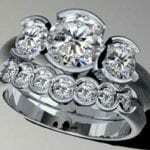 How is made a 14k white gold jewelry set, using synthetic Moissanite stones. Hand made . 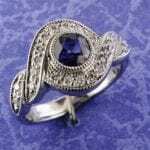 Rio Grande’s Gemologists are ready to serve your needs. 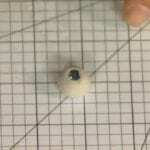 Accurately laying out an oval or marquis stone in wax can be tricky business. We learned this foolproof method for getting a perfect layout every time after years of difficulty. 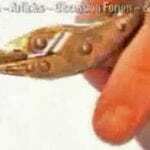 Cup-shaped cutters used to form a decorative bead or fine row of cuts on any piece of jewelry. 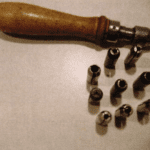 Set of six contains sizes 2, 4, 6, 8, 10, 12, and a chuck holding handle. 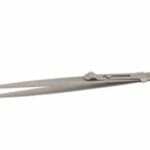 These high-quality reasonably priced diamond tweezers are equal to the quality of more expensive brands. Available in black or matte stainless finish. Made in Italy. Commissioned handmade pendant in silver, 22.60ct blue topaz. This unique & individual piece was inspired by our customer & finely crafted by Temprell to her specific requirements. This is just a short repeat of a prior video on final clean-up..But this is so much needed to be seen again. 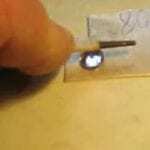 This is the 3rd video on “How to Set a Princess Stone”. 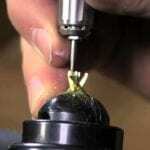 In this video, all tools are shown in finishing this setting process. As this process takes about 15 minutes from start to finish, there are no short-cuts anywhere…. 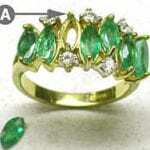 This 14-karat yellow gold, emerald and diamond ring has a broken prong requiring prong replacement. 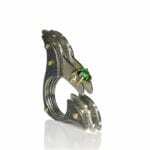 Steece Hermanson will replace the prong and reset the displaced emerald without un-mounting any of the gemstones. 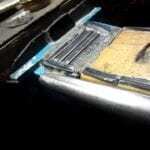 For this, he uses the ABI Tack II and Pulse-Arc Welders. 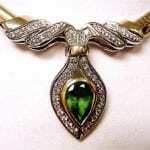 Fine jewelry represents much more than its trade value in diamonds, gemstones and precious metals. 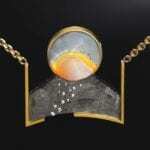 It is a personal representation of the owner’s lifestyle, status, emotion, recognition, commitment and more. 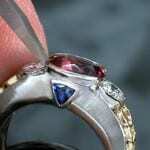 That significance only amplifies how devastating the loss of a gemstone is for the owner. 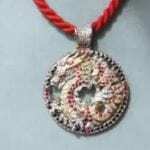 Even one missing accent stone renders the jewelry unwearable. 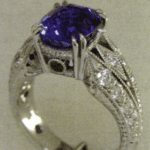 Loss of a significant gemstone will also impact the retailer who sold the piece and the manufacturer who engineered and produced it. 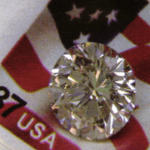 The loosening, damage or loss of gemstones in jewelry can be attributed to two factors: poor workmanship or the absence of benchmarking standards for setting. 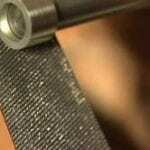 Benchmarks are specific parameters used to compare and evaluate the acceptability of a finished product for market. Stone loss can be avoided. 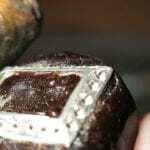 Inspecting each piece and comparing it against established benchmarks for signs of vulnerability in normal wear gives the jeweler/manufacturer an opportunity to address potential problems before jewelry is offered for sale. Adopting consistent task-specific benchmarks encourages sound design and good workmanship, assuring the quality of jewelry for the consumer. 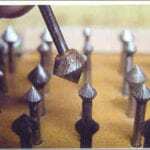 When I buy my high speed steel, 90 degree, under-cutting burs I always think of the words, “waste not, want not”. This little phrase has stuck in my mind for many years. If I find that some of my burs are getting past their prime then I examine each of these well used cutting teeth and decide if I should re-sharpen them. Some of my burs are $10.00 to over $15.00 per unit so why throw it away if it’s only slightly worn down?. 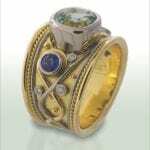 Known for his contemporary designs, Andrew Costen of Costen Catbalue in Vancouver, British Columbia, Canada, enjoys occasionally returning to his roots to create what he calls a Renaissance ring, this one in 18k white and yellow gold and set with an aquamarine, sapphires, and diamonds. 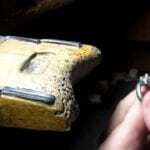 Costen begins by alloying 18k yellow gold and forming sheet that he rolls to 0.8 mm for the ring’s shank. 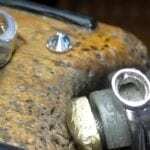 “It naturally wants to concave a bit, so I use a planishing hammer on the center of the metal all the way around, not getting too close to the edges because it will make it bigger,” says Costen. 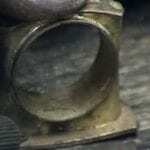 “This brings the ring up very slightly convex.”. 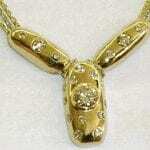 How is made a nice hollow jewelry set , using good quality CZ stones. Hand made . 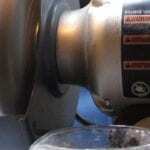 Video shows a simple setting of a brilliant into a plain ring using a burnisher. 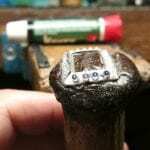 This report will describe means for setting a CZ gem in enamel, producing a ring and a medallion with a gem setting without claws. 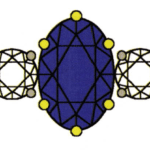 The 6-mm CZ is the center of attention of an anodized titanium ring. The gem is set within the protective confines of two peaks. 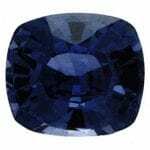 This three stone ring designed by Barney Jette has two flush set trillion sapphire side stones with a total weight of 0.81 carats and a 1.05 carat round brilliant diamond center stone. 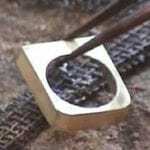 Jette prepared the wax using build-up techniques and cast it in 14-karat yellow gold. Rod Smith, Jette’s shop manager completed and. Baguette stones have four corners and a rather deep pavilion. Because of this you must handle these stones with special care at all times. 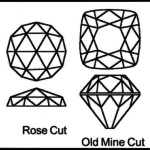 You must make sure that all the bearings being cut are totally in line with the long girdles of this shape of stone..
PMC is not a traditional material, and so a few pioneers went about tentatively setting cubic zirconia’s, and lab grown corundum into the clay. 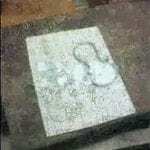 For almost a decade it has been believed that natural stones would be destroyed in the sintering process. And so nobody took the risk. A few brave souls attempted to “cast” diamonds in place in the kiln. Proving to not only be a costly experiment, but. 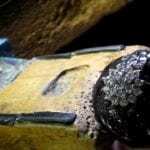 The one of the most revolutionary advance in recent years, apart from the Laser soldering, is the method of “Setting Stones in Wax”. 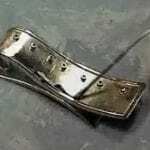 It has “freed” up many impossible designs and allowing the manufacturer to forge ahead and create many difficult setting projects. 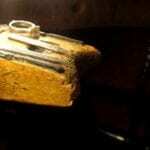 Otherwise, that company might have had to re-design their ideas and to have the stones hand set. 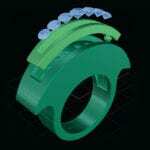 A jewellery company can now replicate each design with the same degree of accuracy and professionalism. 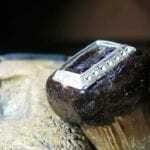 In this article we will set the baguettes and princess cut diamonds in the platinum mounting. Begin cutting the seat for the baguettes use a 45 degree hart bur and undercut each of the end caps. 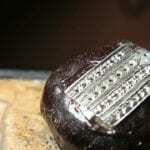 Be certain to hold the bur at the correct depth. 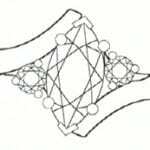 Generally in this type of crown you want the girdle of the stone just above the cross bars. 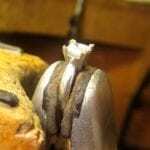 Cut just far enough into each end cap so that the length of the baguette will fit tightly into the crown. 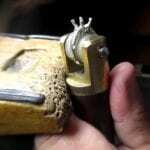 You need to be careful not to cut too far under the end caps because then the stone would be loose in the crown and difficult to tighten. 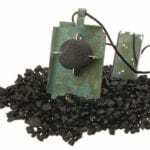 Gravers are small cutting tools used for stone setting, texturing, de-burring and applying decorative embellishments and traditional hand engraving. 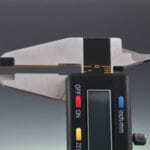 Steps required to prepare new gravers include mounting, sizing, shaping, sharpening and proper storage. 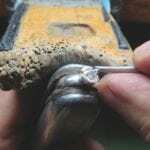 Gravers are among the most useful tools at a jeweler’s bench. 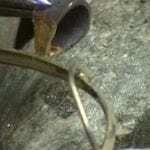 Failure to properly prepare and maintain gravers not only presents a hazard, but also affects quality of work, proper technique and time efficiency. 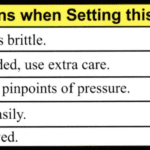 Here are some steps for preparing gravers for utilization with hand techniques. 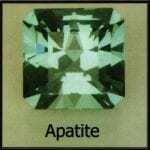 One of the most challenging and technically difficult of the activities involved in the creation of jewelry is the setting of gemstones. 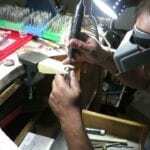 Setting the gemstones is often the final step in the entire process of making a piece of jewelry. Not only is this procedure exacting and critical in its application, it is also both taxing and stressful to the body and mind of the setter. 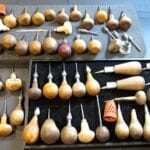 Tim McCreight answers 13 of the questions about stone-setting tools most frequently asked by his metalsmithing students. 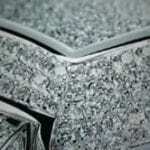 Blaine Lewis stone-setting DVDs demonstrates the art and techniques of setting stones with extreme magnification and 3D animation. 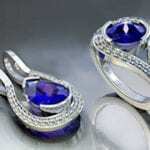 Setting stones in tanzanite ring. This column is from the At the Bench column that appears every month in AJM. 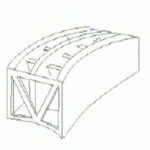 For this project, it is assumed that you have prepared the mounting and acquired the grooved stones for invisible setting. 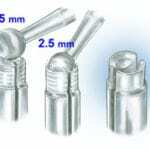 The use of a microscope or 10x eye loupe can be crucial when working with the tight tolerances involved in the invisible setting process. 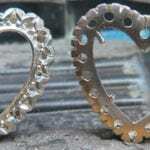 How it’s made a Tiffany inspired hollow chain and a heart shaped pendant using hollow technique. 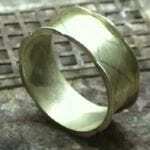 14k gold, hand made. 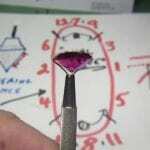 Tightening gemstones is something you will do all of the time as a jeweler. 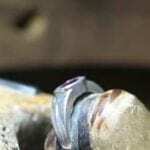 This is a quick short video that show just the basics of tightening gemstones in rings. I will add additional information and handouts soon! 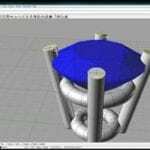 In this video I go over the designing of a 4 prong trellis type head using Matrix software. 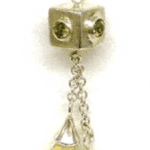 Hoover ‘ Strong, Inc. in Richmond, VA provides a line of Tru-Seat settings that include solitaire earrings, pendants and solitaire rings in yellow, white and palladium white gold alloys. 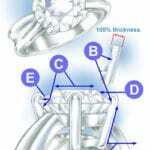 By using Tru-Seat mountings and the system outlined below, jewelers can reduce material costs, labor and improve quality..
Tube-setting is a stylish way to set round gemstones, and its a great first step toward more complex gemstone setting. 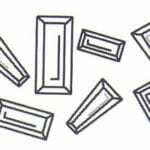 Fabricating bezels to accommodate faceted gemstones of different shapes and sizes is an advanced skill to aspire to; however, tube-setting can more easily fulfill the desire to include faceted gemstones in your designs. 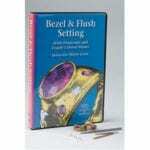 Here you will learn how to tube-set a faceted gemstone using thick-walled tubing or using two telescoping tubes. 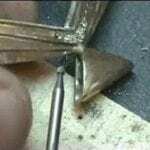 How is made a nice and simple Turquoise gold pendant using only 2,5 gr of gold and basic jewelry tools. A nice project for a smart apprentice. Handmade. 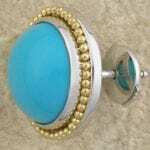 How is made a nice and simple Turquoise gold pendant using only 2,5 gr of gold and basic jewelry tools. 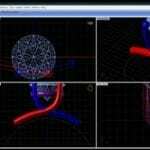 A nice project for a smart apprentice . Handmade. 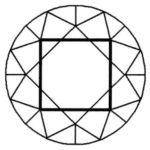 Several shapes of stones have pointed ends, including marquise, pear, heart, and princess. 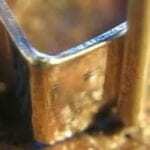 Because these points are often thin and fragile, it is important to protect them with a prong. 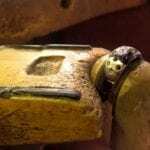 This is particularly important on rings where the stone may be subject to more abuse than in pendants, earrings, or brooches. 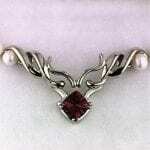 Although a standard prong will usually suffice, a V shaped prong is preferable. 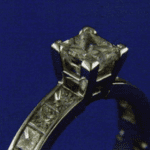 A V-prong provides additional protection and will more securely hold the point of the stone. 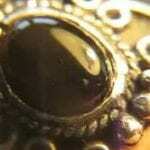 Gemstones that become loose in their settings can cause damage to both the gem and the setting. 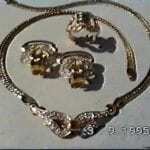 A regular inspection of jewelry can catch this problem in its early stages, before too much damage is done. 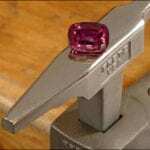 Vector tightening prong-set stones is a quick, safe and effective way to secure gemstones. 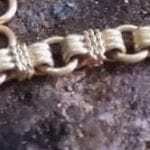 How is made a wide , wonderful bracelet, every woman dreams to wear it …Hollow technique. Hand made .